My mother-in-law (Barb) and father-in-law (Pete) graciously invited Ann and I to join them on an eight day / seven night Caribbean cruise. 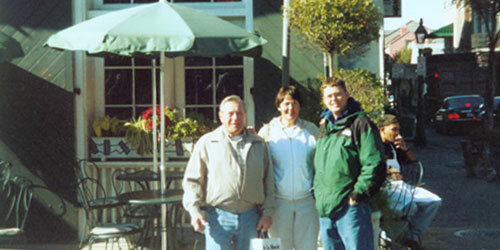 We left a couple days after Christmas 2002 and returned a few days into the new year. We had a wonderful time. 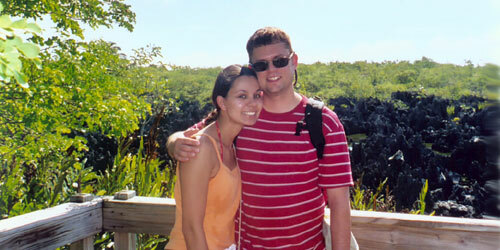 We set sail from Tampa, FL, and the ports of call we visited included Grand Cayman, Cozumel, and New Orleans, LA. Click any of the pictures below for a larger view. 1. 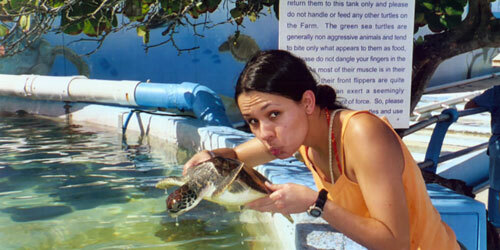 Ann attempts to plant a wet one on an unsuspecting green sea turtle at the Cayman Turtle Farm. 2. 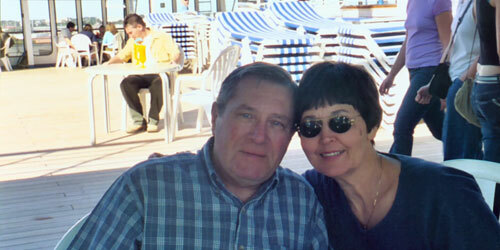 The urbane benefactors of our cruise, Pete and Barb, pose for a snapshot on the lido deck. 3. One of the stops on our bus tour of Grand Cayman was Hell, Grand Cayman. The hellish rock formations in the background are responsible for the name. 4. 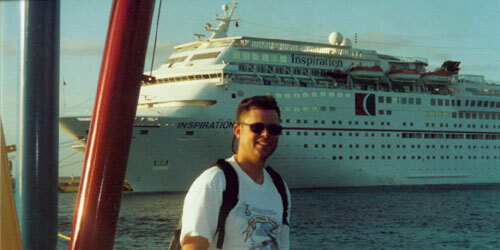 Here I am on the beach in Cozumel with our ship, the Carnival MS Inspiration, in the background. 5. 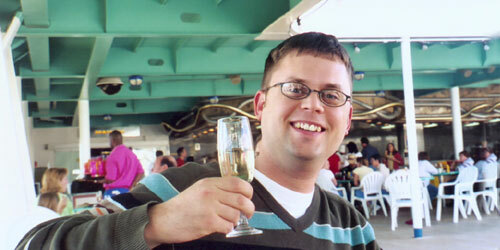 I take time out to enjoy complementary champagne, pool side, on the lido deck. 6. Pete, Barb and I wander the French Quarter of New Orleans, will bellies full of steaming hot beignets just consumed at Café du Monde. 7. This is a photo of the cost of Cozumel as we were leaving port. This page was last updated Tuesday, 11-Nov-2014 14:30:14 EST.